OF THE MANY LESSONS WE LEARN ON THIS EARTH, one of the foremost is: whatever you would like to imbibe or have for yourself, the same things you should tolerate in others. In the same way, whatever you tolerate or appreciate in others, you also imbibe. Whatever right or truth you resist, you lose. When you resist something, when you are negative or prejudiced to it, that very thing or attribute which you want, you do not get. This is true not only of tolerance but also of freedom. Whatever freedom you allow to others, that freedom releases you. This release gives you understanding and insight. After all, it is none of your business how another person wishes to express himself or herself; that is according to their own way of understanding. You do not lose anything by holding onto your own truth. If they are negative, definitely wrong or dark, you cannot accept that. Truth teaches us to be tolerant, if not accepting, at least to let go. The other person will learn according to his or her own experiences. This will give you relaxation and release. If your mind and heart are bound or in tension, you cannot relax. Release or freedom is not achieved by efforts, it is a process of letting go, giving up, of being non-revengeful, non-reactionary. Some may consider this self-defeating, but it is actually very welcome, because when you are relaxed, not resisting, you attain insight into the situation. You see everything properly; your inner Wisdom is born. WISDOM IS NOT A METHOD THAT CAN BE LEARNED OR ATTAINED BY EFFORTS. Neither is it the product of thinking only. On the contrary, thinking and analysis may perpetuate a circular motion, going round and round, producing only relative results. Thinking by itself does not give you release or insight. Therefore intellect alone cannot make you wise. This may sound revolutionary but Wisdom has nothing to do with the thinking process. We feel that by thinking and thinking we will arrive at answers. No doubt, within the dualistic pattern you do get some answers; for relative solutions in this world�to understand a situation, relationship or problem�thinking is needed. But this is not Wisdom. Wisdom is pure insight, pure intelligence, a faculty by itself. If you want to be wise, such concepts as giving up and letting go are essential. When pure Intelligence, pure Wisdom�medha in Sanskrit�is born or awakened in you, you will see that what you thought and analyzed, what you put into logic, was simply a process of mental curiosity and gymnastics. Ultimately it is by going beyond this process that Wisdom is born. In other words: the process of analysis, even for matters of the world, will never give you complete and fully satisfying answers. Therefore, in this world, nothing is completely fulfilling. I am not advocating irrationality or thoughtlessness, simply suggesting that you transcend this process. Duality can give us a feeling of goodness, relative satisfaction, and some gratification; however you cannot call that freedom. Nothing can release you except when you transcend duality. Freedom is the true nature of the soul, but it percolates into our body and mind complex too. When you are free, your bodily functions and mental processes undergo many changes. Therefore it has been said that truth shall free you. If it were to free you only in the soul and not affect the body and mind, that would not be meaningful. AT OUR PRESENT LEVEL OF EVOLUTION, thinking is necessary, but not when you are perceiving from a deeper and higher Truth. In the next evolution, feeling is higher than thinking, and faith is higher than reasoning. The reasoning person often undermines faith, as if it is only for duIlards. Father, forgive them for they do not know about higher evolution! Faith is vertical in motion while reasoning is circular, horizontal. Faith raises your consciousness, moving you upward to the Goal, which reasoning does not. It may satisfy your curiosity at times but it is not a releasing factor. Once you touch pure Intelligence, you will discover it is so near ultimate Consciousness that your True Self will emerge. When that occurs you will begin to see how very different you are from what you thought you were. You will be sadly surprised that all this life, or for lifetimes, you were being unnatural, trying to live the life of somebody else; you will be sorry that you weren�t being who you truly are. It is not through logic or reasoning alone that you will understand this, but when your insight is opened up, as your kundalini, lying at the base of your spine, rises up. That is why virtues are preached by holy people. Not just to be virtuous but because those are the conditions which may help your true being to be revealed. Then you will discover your natural attributes: love, peace, joy, freedom, insight and Wisdom. You will have no prejudice, no resistance to Truth, no falsehood, hatred, anger, selfishness; you will have no negative or dark aspect to your nature. Something will open in you that had been hidden. You will discover your true wealth, your real nature, which is Divine. Whatever you previously did, behaved, or accomplished which seemed so important, will be insignificant. You will discover that that was based upon ignorance. You will see that being will not be the product of doing anything. On the contrary, it is when you have done everything and given up that you find what you truly want. You may reach through meditation, samadhi, but practices apart, I am trying to give the understanding of how blessed are those who give up and sit quietly and become innocent again. Then suddenly they find the treasure. At that juncture you will understand the words of the Prophets: all this is within you, always. You tried to depend upon yourself, your ego. Ego will think, do right and wrong, have its capacities, incapacities, pride and weaknesses�all the while hovering around itself. IT IS A JUMP TO THE HIGHER SELF, to be natural, to be your True Being. It comes after giving up, detachment, dispassion. You are as if closing up the whole drama, not forcibly or by suppression, but through insight. It is as though you had been building castles in the air or in the sand, and were very serious about them. You have seen, when children build castles on the beach, how serious they are. If you knock down their creations, they will weep and fight with you. Qualitatively, it is the same: our creations are real to us. The great souls say to be innocent like children, spontaneous, as if non-thinking. When that purity is born, you are relaxed, released and Truth shall shine. You will see, that is the real life, not the one you took so seriously. It brings you out to live fully, with more intelligence, more insight, more satisfaction and freedom. Your inner joy and peace are born, to live then as a true person�Purusha in Sanskrit. That is what makes you truly human. Thus it is said, the Son of God or Son of Man. When you are truly man, you are the Son of God. It does not shatter your life, it makes it fulfilled and sublime. At that state you are a non-thinker, no doubt, but at the same time, beyond thought. You see. This simplicity and purity of heart is what the Prophets and Realized Souls speak of so commonly. That is why such high Beings are childlike themselves; having achieved Enlightenment, they seem more childlike than wise, unassuming, as if a nonentity. As if you are floating over the clouds and all of a sudden come to a quiet, serene silence, without any ruffling or movement. You are nothing but at the same time you are pure, simple, Enlightened. Close your eyes and see within: these layers are all the complexities of your own mind. Empty your mind and meditate. How to meditate upon nothing? What you call nothing is everything�Spirit, Pure Intelligence, Consciousness, Light. And when That is born or realized, all the other layers have no meaning. Such exalted Beings as Yag�avalka, Socrates, Krishna, Rama, Buddha, Christ, Vashishta and Vedavyas attained this Realization. Therefore, it is no wonder that those are the souls who attract us, who live for thousands of years. Not only do they make our history but they remain as beacon lights for us to follow. Their hearts were open, pure and clean. They could truly see. And when they saw, they found the Truth, which is indescribable. This is the Freedom of which you are dreaming�having it with you but all the time missing it. Then things that appeared serious to you no longer assume serious proportions, they are matter of fact. This is not something to be learned�on the contrary, we have already learned enough. Any amount of learning will not produce true Wisdom. The more the learning, the more the layers. If you believe that more learning will make you more wise, try it, as you have been doing for who knows how many births. We try to learn only because we keep missing the point, and until we are truly wise, we remain unsatisfied. THE ULTIMATE IS YOUR OWN INNER EXPERIENCE, which is inexpressible. When we give expression to it, we give it terms and phraseology. On those terms and expressions, we should not fight or differ too much. It does not matter if someone else is not expressing the way you believe or see or speak of your experience. Take it as the other person�s understanding and leave it alone. Whatever causes friction and struggle, produces dogmatism, unnecessary prejudice or disturbs our peace, we have to avoid. You have heard this so many times: peace at any cost. This is exactly what it means. Under no provocation and no circumstances should you vitiate your own peaceful state of mind by getting carried away with the emotions or opinions of others. If you believe that they are in total dark falsehood, then you can give your explanation, politely, mildly, peacefully, but do not push it down their throats. We have no right to curse anyone. We each produce our own hell and heaven by our thoughts and actions. We are talking about detachment, letting go, harmlessness, and so on. How can that apply to our day-to-day lives? It does apply, because only what is Truth and Knowledge fulfills our lives. It is our own doubts that make us think it could not work, because we have been doing otherwise. We have been working against time. We do not flow in tune with nature. We have artificially made time a reality unto itself, which it is not. Time is simply a concept. We have become bound by time and space, which is grounded in ignorance. And still we blame time��Times are bad. It�s not the way it was.� We blame things that are only conceptually existent, not realistically so. That is why you �run against time.� What does that mean? Life passes you by. LIFE IS LIKE A FLEETING, FLOWING RIVER. What is tangible in it that you could catch and hold onto? We blame things that are fleeting themselves, sandcastles. The foundation is sandy already�why weep over the castles? We call it maya, illusion. How can you blame that which is intangible? The world is based upon illusion; it could not be anything but illusion. When we take every other illusion as real, how, when misery comes, can we take it as unreal? The trouble is that we take it as very concrete. You want your life to be Divine, satisfying, fulfilling, while at the same time building from a pattern based upon the illusions of your mind. It may look solid and real, but so too does a sandcastle to a child. That is the whole beauty of illusion: it looks real while being unreal. Truth is Truth, whether you put it politely or straight and direct. The straight way may appear harsh, yet sometimes that is what works better than the time-consuming, pleasant, self-image-maintaining process. The crude way can at times straighten us out quicker than pampering and sweetly encouraging us to change. What works at a given time and place, God, the Prophets and Realized Souls know. If you weigh it intellectually, rationally, according to your own limited understanding, you could make tremendous mistakes in judgment. What someone did five thousand years back under certain circumstances, we cannot imagine according to our circumstances today. You cannot impose what you believe onto different times, people and situations. And who knows whether what you are doing now will, a thousand years hence, be criticized? Truth is straight but we make it sweet-spoken just to make it palatable. The straight Truth is the best way. If you are looking for pampering and self-image, then you are simply delaying your Enlightenment. Truth never hurts; what hurts is our resistance and feelings, which feel attacked. Truth itself is not hurting, it is freeing. It is only because of resistance of mind, our caricatures and complexities, that we feel hurt. When you are open, Truth penetrates you and releases you. It makes you free. Then insight and Wisdom are born. You will become so caring, so compassionate, that you could not even harm a bird or an insect, except unawares. You will care for all beings and creatures. This cosmic unity and harmony of creation, called Rita Dharma in Sanskrit, you will see and realize. You will know that all life is interdependent, and that independence is a myth. The Truth that makes us free is greater than any independence we could imagine. Everything is interrelated, interconnected, throughout the cosmos. There is no gap. The conception of independence of any kind�national, religious, political, economic, individual, or of any group, is like shallow water compared to the ocean of Truth. When you have realized true freedom, born out of your Truth and insight, no other freedom can compare. You are a free soul. You will see unity and harmony flowing everywhere; you will verily see this throbbing, pulsating interconnectedness throughout all creation, including our fellow human beings. It is not a myth, it is the Reality which we simply did not see before. Everything is before our eyes all the time; we only see according to the openness of our consciousness. Selfishness is born of confused, disturbed, depressed and burdened minds. You will begin to see things you thought insignificant grow in importance for you. This sensitivity to see deeply into everything, including thoughts and feelings, is born through insight and a relaxed mind. Do not think, therefore, that a relaxed and released attitude is just simplistic. It opens you to cosmic harmony. You will live the life of Rita Dharma, the unity underlying all creation, and see sensitively each tree, plant and human being. You will not harm anyone or anything. You will know how to handle any situation without doing violence. You will help others peacefully and patiently. HOW HAVE WE LOST THAT UNITY AND HARMONY that is our birthright? We have become too individualistic, too independent-minded, even against one�s own wife or husband, brothers or sisters, when it comes to oneself! This creates intolerance and chaos. We cannot tolerate another individual who is different from us. In earlier times people lived in entire pueblos together; united families lived together. They had their quarrels and problems, but still they lived in harmony. Now even two people cannot live together. Why? Because we have become too individualistic, and thus selfish. We have to learn interdependence, that we are living together, not only as human beings, but with all other life forms, and we are dependent upon each other. Plants give oxygen, we take oxygen. We give something, animals give something, trees give something. We take something, they take something. So it is among human beings: parents give and children receive; children give and parents receive. We have to understand that interdependence is the truth of unity. Fictitious, artificially courteous and unnatural behavior will lose its meaning. We might have been cultured in this but it is not true. If it were true, it would make us happy, peaceful and fulfilled. When your True Self begins to emerge, you will see that Truth is what you were missing and searching for. Automatically that will establish the virtues of love and feelings for others. You will be naturally magnanimous, kind and helpful. You will realize�I should care for others and not be carried away by my gratification, pleasure and self-seeking. Even though I have freedom to have my pleasure, it should not be at the expense of someone else�s happiness. This homogeneous, collective thinking and feeling makes you live in harmony, not only with others but with yourself too. YOU NEED NOT SACRIFICE YOURSELF; you can do good to others while doing good to yourself. There was a stage in evolution in which sacrificing for others was needed. It is not necessary now. Apply this to Spiritual Realization: it is not necessary to mortify your body in order to realize your Spirit. In the past, they mortified the body and mind to be purified�let the body go to wolves, sickness, whatever�in order to be Enlightened. At that time it worked. Today you can maintain your body and mind yogically, holistically, keep it sattvic1 and still attain Realization. But if you care for body and therapies excessively�which will be rajas2�in the name of one day realizing your Spirit, it will defeat the purpose, distracting or diverting you from the Goal. The body can be maintained as a temple of God, a temple of the Divine, and maintained well, with a peaceful mind, and still reach the ultimate Realization. This is a more wholesome, integral way. You may think that a quantum leap to Realization is not feasible, that only a few glimpses or insights can be achieved in this way. But Realization can be achieved by a quantum leap. Follow the Divine and everything else shall be added unto you. If you are nothing, you are everything. If you are egoless, you are Enlightened. That leap is based upon your relaxed, released attitude, carrying on day-to-day life as a matter of fact; giving attention but without becoming serious about the illusion. See if you can do that and it will release you. Wisdom will be born and you will know the Truth. That is the true Identity you are trying to find. 1 vibration of purity, serenity; according to Yogic science, one of the three basic gunas, energies or qualities, comprising creation. 2 among the three gunas, the vibration of activity, disturbance. The third guna is tamas, inertia. 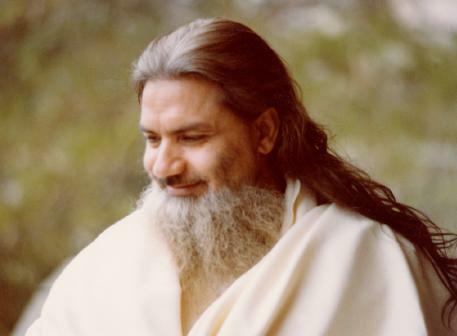 Edited from a Satsang entitled The Truth That Frees Us, given on July 7, 1990.